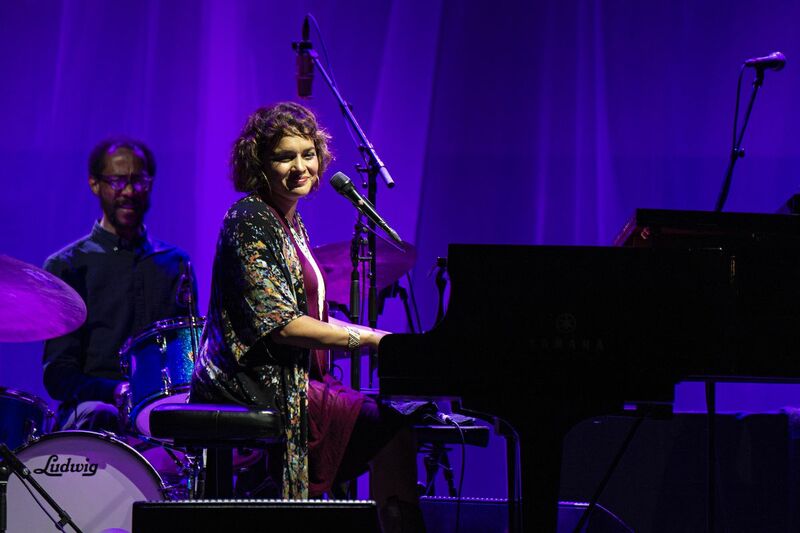 Norah Jones is coming to Anchorage, and some tickets are going for as much as $800. Here’s why. People started calling Bear Tooth Theatrepub right after tickets to see Norah Jones in Anchorage went on sale last week — and they weren’t happy. Some would-be concertgoers, waiting eagerly to buy a ticket online as they went on sale at 10 a.m. Friday, couldn’t score a seat. People posted frustrated comments on Bear Tooth’s Facebook page. Tickets to see the Grammy Award-winning singer-songwriter at two August shows in Anchorage popped up on other websites, some with price tags topping $800. “We started getting phone calls almost immediately from people trying to buy tickets, and tickets were sold out,” said Bear Tooth general manager Stephanie Johnson. The frustration was the result of a confluence of factors, Bear Tooth representatives said: huge demand at a small venue for a major act coming to Alaska; tickets sold through a presale before availability to a wider audience; and Bear Tooth using a third party for the ticket sales. For the Friday, Aug. 2 show, “a good amount of the tickets” were sold through Jones’ fan club, “like a presale,” said Dan Fiacco. He’s the general manager at Moose’s Tooth Pub & Pizzeria and handles music booking there and at Bear Tooth. That presale started Tuesday last week. What tickets were left after that presale “were sold immediately" Friday morning, Fiacco said. Once those were gone, tickets for an Aug. 3 show went on sale, and it didn’t take long for those to sell out, too. Usually, Bear Tooth handles the ticketing for its shows. But for the Jones shows, part of the deal included Live Nation handling the ticketing, Johnson said. Original ticket prices, before they hit resale websites, were $50 to $100 each. There were about 2,200 tickets sold between the two shows. Julie B. Johnson lives in Anchorage and was ready Friday morning to buy her ticket. She was at her computer, already logged on to the website, and moved to put the ticket in her cart at 10 a.m. when sales opened. On Facebook, Bear Tooth told customers just after 11 a.m. Friday that both shows were sold out. The comments rolled in, many from people upset that tickets seemed to have vanished before they even had a chance to buy them, plus some from people who were happy they’d been able to land seats. On StubHub, some balcony seats for the Aug. 2 show were going for $809.99 each as of Tuesday. A general admission ticket was going for $360 there. Booth tickets were asking $720 apiece. Jones is also playing in Juneau on July 31, at Centennial Hall. This was the first time Bear Tooth had a third party handle the ticket sales, Fiacco said. The intimate venue intends to use the experience as a “learning tool” moving forward, he said. There have been national efforts to curb online ticket scalping. In December of 2016, President Barack Obama signed the Better Online Ticket Sales Act into law. The legislation aimed to get bots out of the online ticket market. But there was doubt in the music industry “about how much impact" the act would have, The New York Times reported. “The world of bots is shadowy and little understood, with much of the software being developed and even operated overseas, complicating enforcement,” a 2016 article in that newspaper said. It’s nothing new to see tickets sell out fast when a national act comes to the Last Frontier. When Modest Mouse played in Anchorage for a Moose’s Tooth summer show in 2016, tickets sold out in a little more than an hour and the venue added a second show. Bear Tooth and Moose’s Tooth have seen hundreds of purchases happen in under a minute, Stephanie Johnson said. Live Nation did not respond to an emailed request for an interview. Fiacco said this scenario — tickets almost instantly getting scooped up and posted to resale websites — happens “so often” in the Lower 48, where national acts more regularly make the rounds to major cities. Tickets for a show go on sale, and turn up right away on websites like StubHub and Vivid Seats at pumped-up prices. Stephanie Johnson spent about eight hours on Friday talking to people about the shows. Julie Johnson, who didn’t succeed in buying a ticket, said she’s going to boycott Bear Tooth. She only learned about the presale after everything was sold out. “How it all went down, I got a bad taste in my mouth,” she said. The last thing Bear Tooth wants, Fiacco said, is disappointed fans.